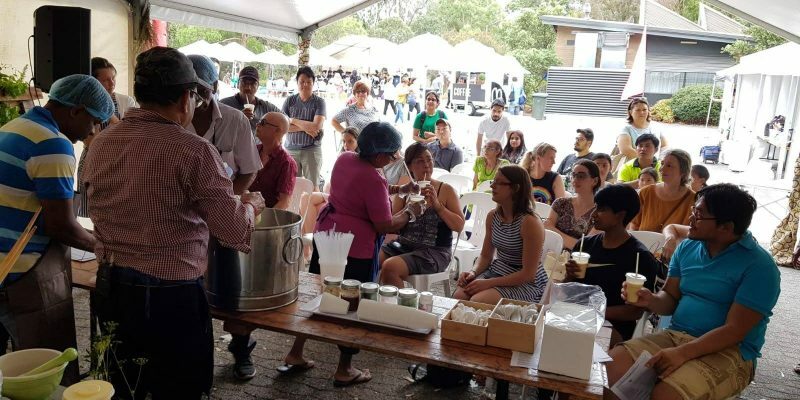 Melbourne Vinayagar Hindu Sangam recently participated in the Knox Festival's Global Kitchen Show in early March, serving up delicious food and lassi for Knox residents. 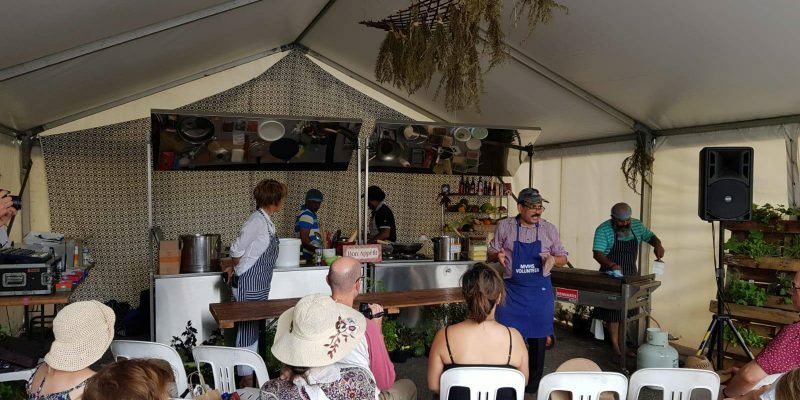 "I was introduced by Lillie, who was the initiator and the coordinator for the Global Kitchen Show at the Knox Festival. I gave an introduction of our Temple and MVHS. 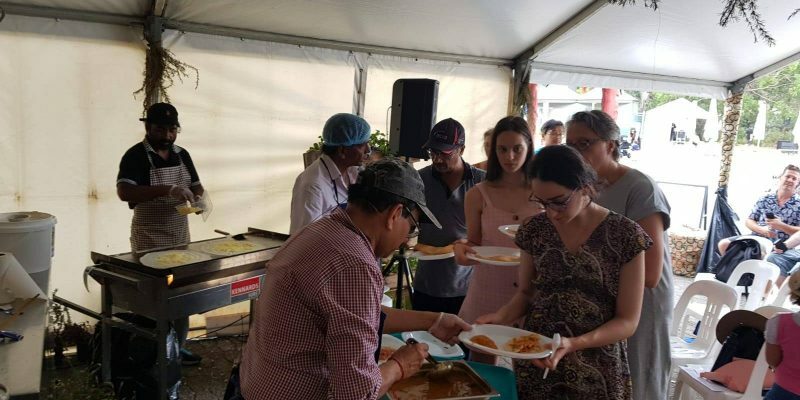 I also introduced the volunteers who came along to help us as well as Chef Selvam and Assistant Indiran. We started making and distributing fresh Mango Lassi. 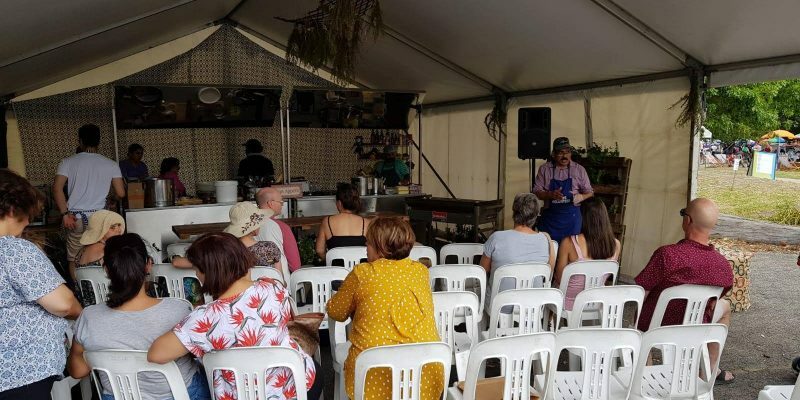 Everyone enjoyed it. 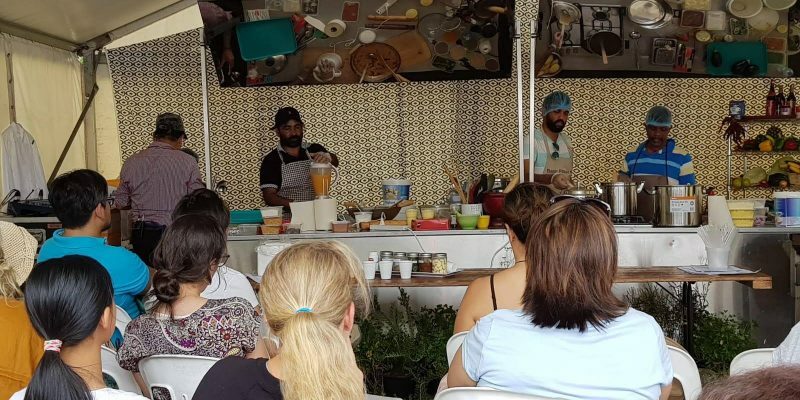 We then started preparing chutney, potato masala and sambar to show guests how they were made. We made variety of Dosas and Uthappams and served all who attended. It was a successful event."